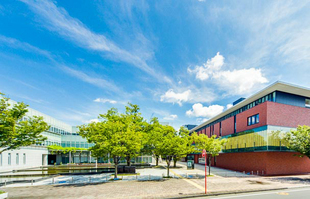 The Oshika Campus is located inside the city of Shizuoka about five kilometers from the Kusanagi Campus. 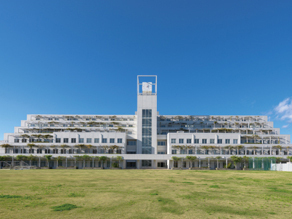 Its environment is well suited to student life, with the Shizuoka Saiseikai General Hospital, a special-needs school, and a shopping district nearby. This convenient location also is within walking distance from large facilities such as Granship, which hosts numerous lecture meetings and other events. 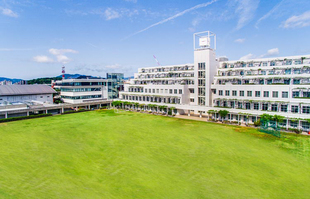 This campus, characterized by the harmony between the clean, open feel of the campus buildings with their color scheme based on white and the academic atmosphere of the new School of Nursing building, specializes in training health and welfare professionals. 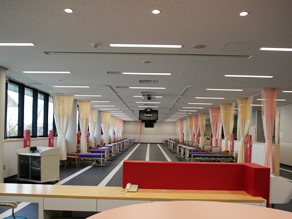 Since 2015, the four-year School of Nursing has offered lectures and seminars on both the Kusanagi Campus and the Oshika Campus. The new School of Nursing building is located on its main campus, the Oshika Campus. Its first floor includes seminar rooms and the College Hall, a place for communication among students. On its second and higher floors are facilities including classrooms for practical training, simulation rooms, and offices for faculty and graduate students. The classrooms for practical training, simulation rooms feature monitors and screens that can be used for courses featuring video content. 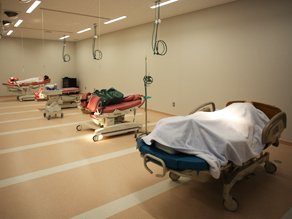 In addition to a full range of facilities simulating those of a hospital, such as bed spaces, an intensive care room, and a clean room, it offers practical facilities for learning about a wide range of fields, including a delivery room patterned after a private home and a Japanese-style tatami space also equipped with a kitchen and a bathroom. In these facilities, students are able to learn the latest nursing technologies. 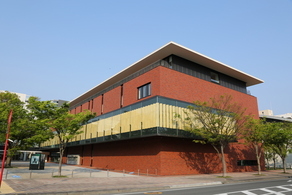 This building features facilities for education and research ranging from large lecture halls that can accommodate more than 100 people to seminar rooms for small groups. 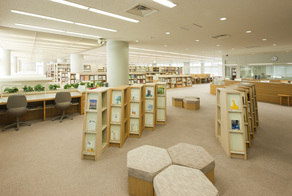 The Oshika Library is stocked with not only general-interest books but a wide range of other publications as well, including specialized materials on health and welfare, course texts, collections of questions from national examinations, and picture books. Featuring group and private reading rooms, it provides an environment highly conducive to student learning. 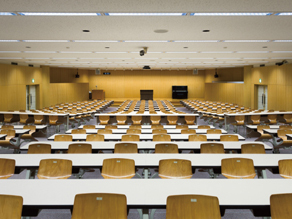 Capable of accommodating more than 300 people, this Lecture Hall not only serves as hall for large classes but also hosts public lectures and other events. The bright, clean dining hall can seat more than 200 diners. 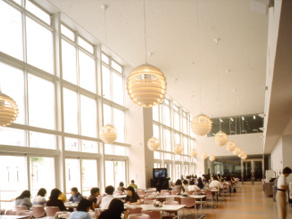 Filled with students at lunchtime, it also serves as a place where students can study on their own at other times.